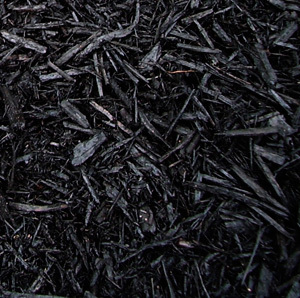 Our mulch is triple milled, shredded hardwood bark. Available in natural or dye enhanced colors. You may pick up mulch orders during normal business hours using your truck and/or trailer. If desired, bring a tarp to line your truck or trailer bed as well as one to cover the mulch on the trip home. A full size truck bed or medium single axle trailer can typically hold about three scoops. Each scoop of mulch may weigh up to 750 lbs., even more if it is wet. Sometimes the bed area may hold the mulch, but the tires may not support the weight of the load. It is always better to be safe than sorry when deciding how much to carry in one trip. Take it from us, changing a tire when carrying a full load of mulch can be tricky and a waste of time. Multiple trips are recommended if you are unsure. Deliveries require a minimum of 24 hours notice. We will deliver your order as soon as possible. During the busy season, we may have deliveries booked out several days in advance. To ensure you receive your order when you want it, please schedule deliveries with as much notice as you can. 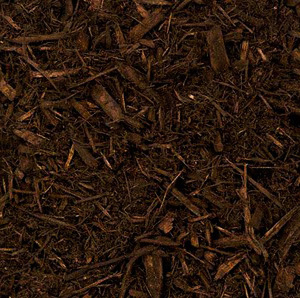 Natural mulch is suggested for gardens, edibles, and play areas. 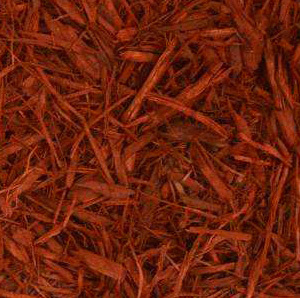 Dyed mulch is suggested for landscaping or decorative areas. The recommended depth for mulch is 2 inches. Which should I use? Gravel or Mulch? It’s up to you! 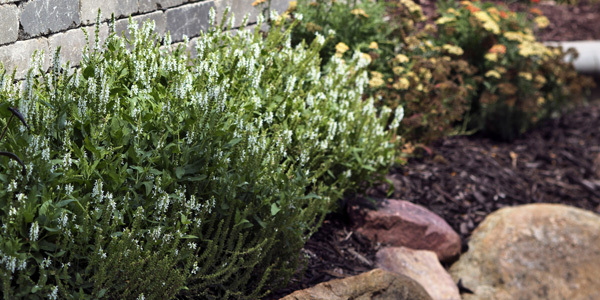 Both rock and mulch provide ground covering, suppress weeds, retain soil moisture, and provide insulation. Wood mulch will eventually break down adding desirable organic material to your soil. Rock does not break down, but can wash away. Mulch is less expensive but will need to be replenished more frequently than gravel. Does mulch contain or attract termites? To survive, termites must have two things: food & moisture. The mulch itself does not attract or provide a food source for termites. However, the moisture it holds may provide a suitable environment for termites and many other insects to live. This moisture retention will be present in any type ground cover you use including gravel or recycled rubber. 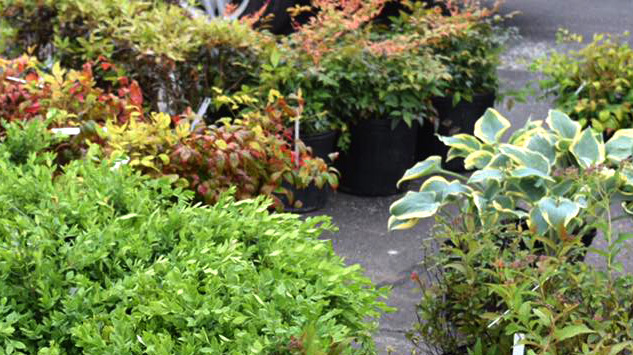 The mulch that we sell is commercially produced for the intended use in landscapes. It has been tripled milled which ensures no termites or larvae can survive the milling process. If a rogue termite or larvae were to persist after this process, they will die shortly after being exposed to air. 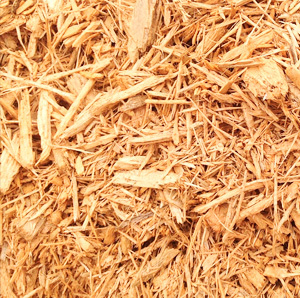 Mulch that this produced at sawmills or remnants from tree removal that contain pieces of actual wood (not just the bark) are not recommended for use around the home. By observing a few guidelines when laying any type of mulch, you can reduce and possibly eliminate the chance for termite infestation at your home. Never allow mulch to touch your home or foundation. A 6” strip of bare ground between the home and the mulch prevents insects, especially termites, from traveling into your home. This strip should not contain plantings and should be kept as dry as possible. If areas of your beds retain moisture more than others, apply mulch at a depth less than 2 inches. During extremely wet weather it is beneficial to rake through & turn the mulch to allow it to become exposed to air. The information provided above was obtained from publications from the University of Illinois, The Espoma Company, and Today’s Homeowner Resource. Complete copies of each article are available at The Stone Supply or online. 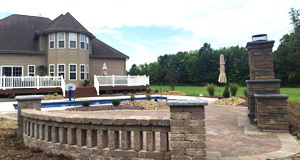 View Warranty Information and Aftercare Guides for Landscaping, Lawn and Hardscape services. Starting a new project? We offer a variety of services and products that produce incredible results. Get in touch today for a consultation and estimate.